The number of electric vehicles on the roads of the world will reach 125 million units by 2030. However the speed of transition toward electric car adoption will largely depend on the state policy in different countries. This is stated in the New Policies Scenario of the forecast of the International Energy Agency (IEA). In 2017, the number of electric vehicles in the world jumped by 54% - to about 3.1 million cars. More than one million electric cars were sold in 2017. This is a new global record. But that's interesting is that more than half of the sales come from China. Under the most optimistic scenario, if the world is more actively struggling with climate change and the automotive concerns can quickly achieve economies of scale in the production of electric vehicles, their total number will increase to 220 million cars by 2030. According to the IEA, in the period between 2035 and 2040 the world's fleet will reach a mark of 2 billion cars. Meanwhile, more and more electric cars are being brought in the United States, Canada, United Kingdom and Europe. Take for example Ukraine. In the first quarter of 2018, the number of imported electric vehicles has tripled in this country compared to the same period in 2017. Many countries in Europe still have some preferential tax regime. But in some places like Ukraine in Central Europe, the preferential tax regime, which exempts electric car buyers from VAT and excise duty, will last until December 31 of 2018. This decision so far had reduced the cost of EVs in this country by 17 percent. So unless something changes the EV prices may be up considerably in this country. This is why the Global EV Outlook (GEVO) largely depends on state regulations and laws. As you can see in the United States only 1.2 percent of vehicles on the road are electric. 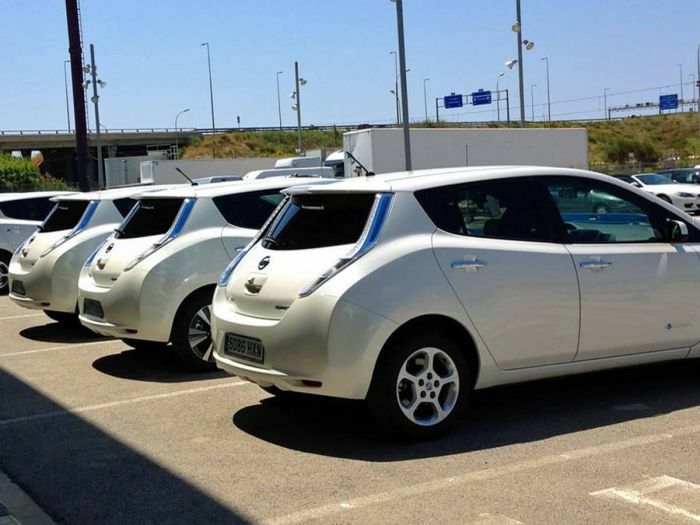 Yet in Norway, 39.2 percent of the vehicles on Norwegian roads are electric. This is amazing. The results are also impressive in Iceland and Sweden. Cobalt and Lithium are two of the most commonly used materials in building EV batteries. And according to the Global EV Outlook "The shift to EVs will increase demand for some materials, in particular cobalt and lithium." Here are the best selling EVs of 2017 and Electric Vehicle sales projections of 2019.